When we get in prototypes of frames, each size is a different color. We often get tube samples of paint we like, but seeing a whole frame and fork really lets us envision how the rest of the bike will flow. Sometimes a color we thought to be perfect, isn't, and sometimes a color we select as an off-the-wall trial is perfect (Poppin' Purple Piolet). This bike we've nicknamed Lilac is a Polyvalent prototype that turned out to be just lovely with polished silver components. The paint isn't something you'd commonly see on a stock bike, but it's fun to see what happens when you don't have limitations on your color palettes. We'll put this one in our collective back pocket for later. 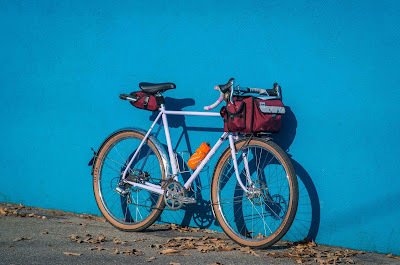 The components are all taken off the last Polyvalent we took on tour to Eurobike, with the addition of the Rando Handlebar Bag and Day-Tripper Saddle Bag - which have been marvelous. 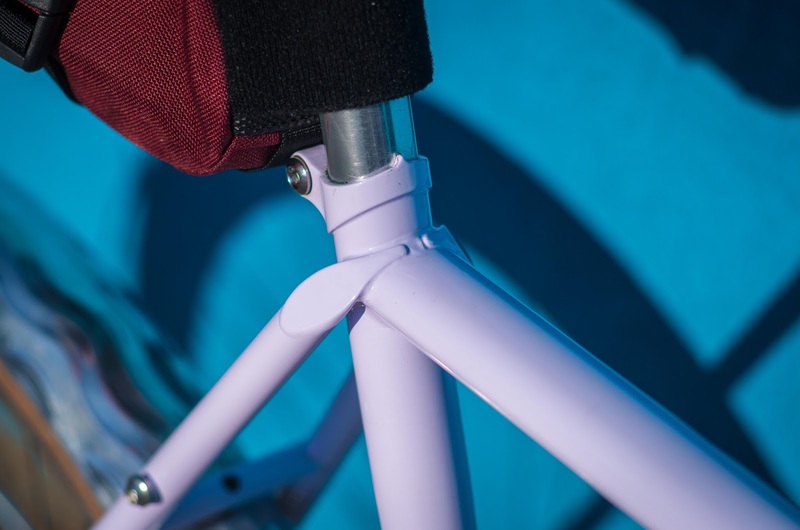 On a side note, since we have had such an overwhelmingly positive response to, and demand for, the Polyvalent and Piolets, we will be doing a pre-order for all frame sizes starting Monday, December 4th. Retail price for both the Polyvalent and Piolet will be $725, but those participating in the pre-sale will be able to get a frameset for $675. Deep Emerald Green and Poppin' Purple are the production colors, respectively. We're looking at early-April delivery. Pre-sale closing is still TBD, but it will be generous, and we'll give notice of its conclusion. Starting today and going through December 15th, get 20% off the entire VO store. That includes in-stock frames, wheels, components, accessories - everything except gift certificates. 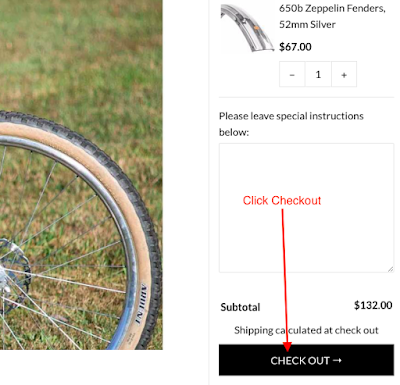 When your cart is ready, click "Checkout". 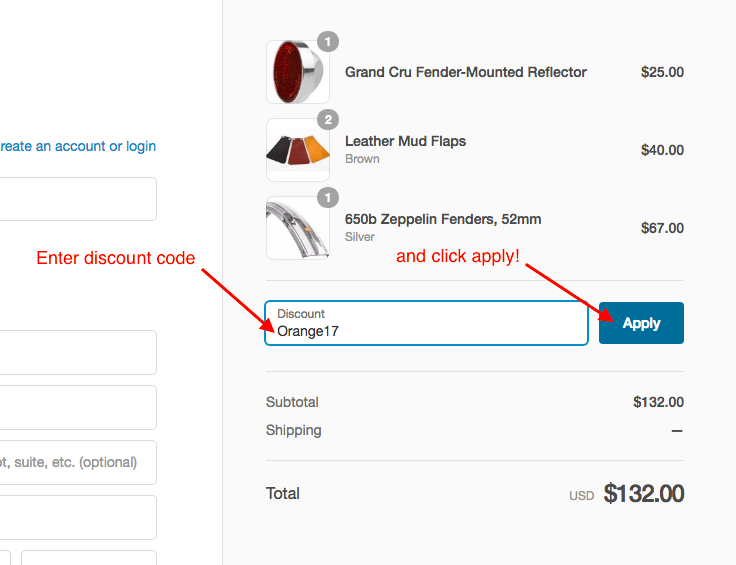 Enter the discount code Orange17 and click apply. Confirm the code has been applied, and finish checking out! We'll be closed on November 23rd and re-open on November 27th to give our hardworking staff some time off to spend with their families and get in some long bike rides over the Thanksgiving holiday. If you need an order shipped today, please place it before 3pm EST and we'll get it out the door. Please have a safe and happy Thanskgiving break, and we'll see you bright and early on Monday! Ps. 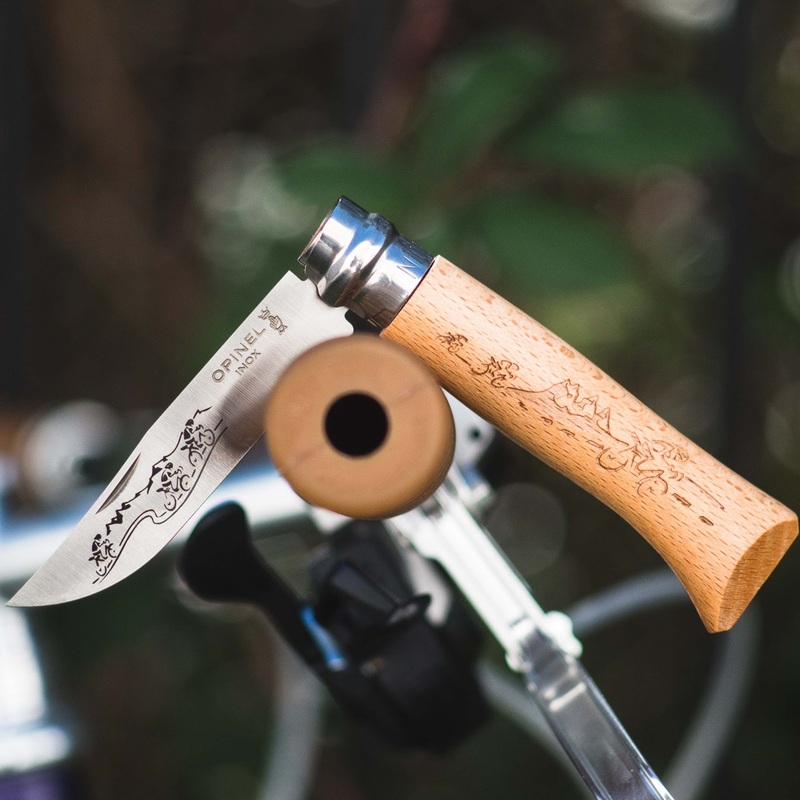 We just got in these nifty Opinel No.8 Cyclist Knives! Stainless steel blade and classic Opinel design. 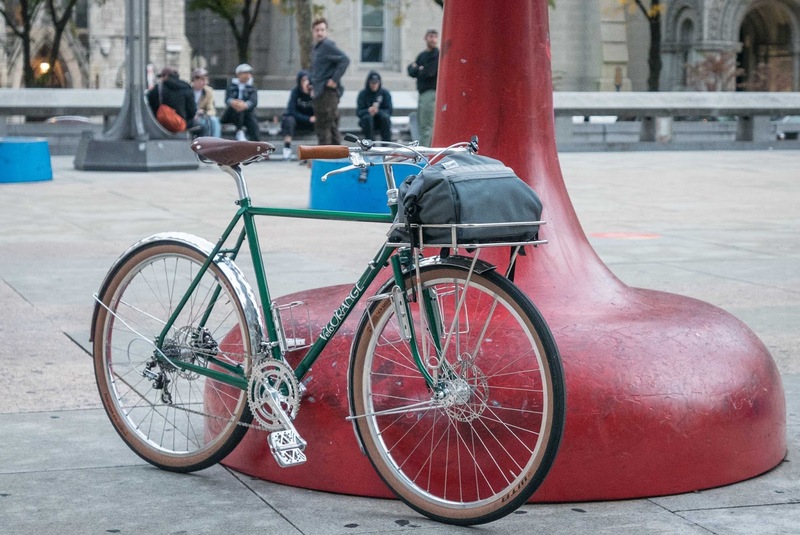 For those who were able to make it to Philly Bike Expo, you were able to have a hands-on look at the upcoming luggage we've been working on in collaboration with our good friends over at Road Runner Bags in Los Angeles. It's a line that is intended to be durable, reliable, and straddles the line between traditional and contemporary. All of the following bag options should be here in the time for Spring riding, so stay tuned for any updates! 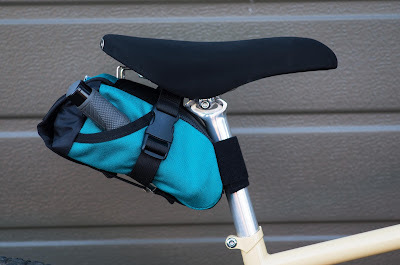 The Randonneur Handlebar Bag has a familiar shape and function, but has a bunch of modern design cues and construction techniques to launch it into this century. In addition to the beautiful Cordura outside, the inside has an exceptionally durable and waterproof hi-vis truck-tarp liner - no more losing your wallet in a black hole. 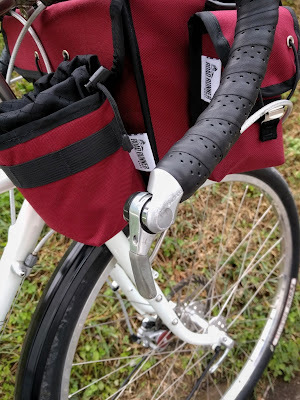 The pockets are modular and use high-quality velcro straps so they can be mounted to the sides of the bag or facing the rider. 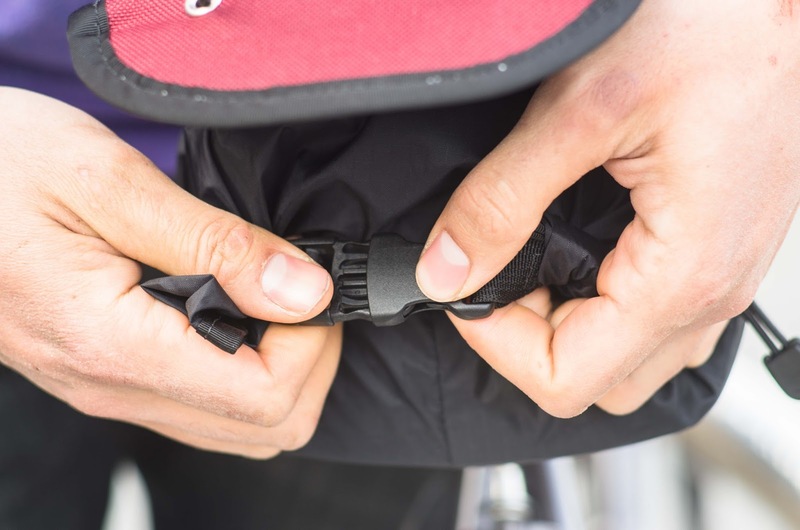 Mix and match the pocket positions to dial in your riding preference! The Cell Phone Pockets are sized to fit larger, modern smart phones. It gobbles up the iPhone 7s Plus (5.5" screen) with ease. The Snapper Sack fits small point and shoot cameras, lenses, or anything else that might fit such as a waterbottle, soda, or 750ml wine bottle. 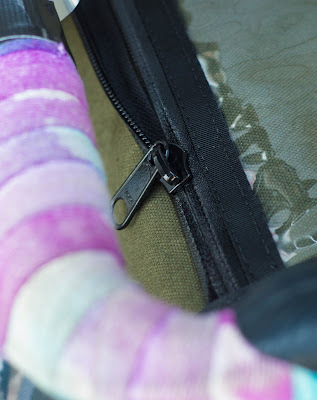 Both of these pockets can be mounted to your backpack's straps as well! The bag is grommeted so that it easily works with our Integrated Decaleur system. 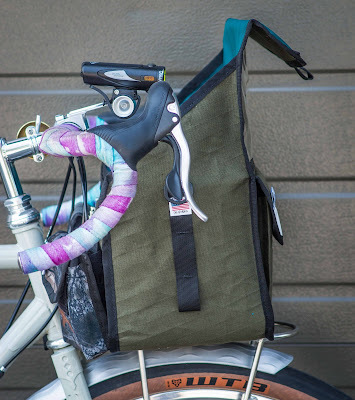 No need to use a drill or soldering iron to install the bag mount. Pricing will be $185 for the main bag, $30 for the Cell Pockets, and $45 for the Snapper Sack. 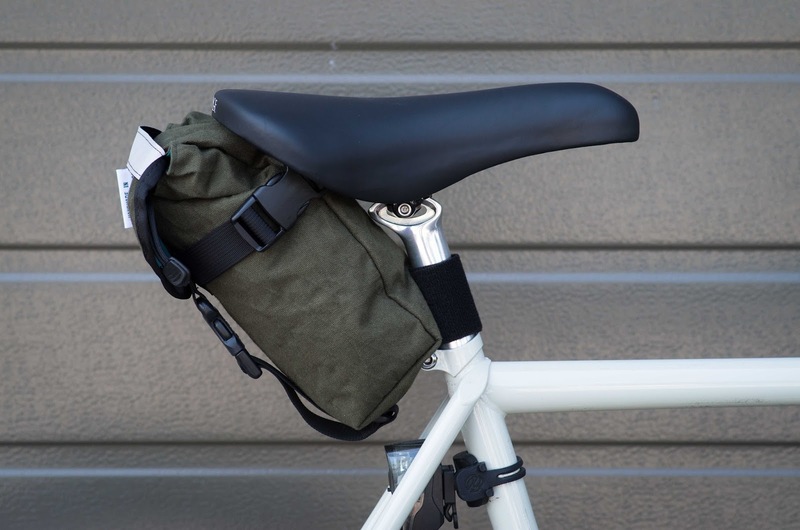 Our Day-Tripper Saddle Bag is the perfect mate for an all-day ride. 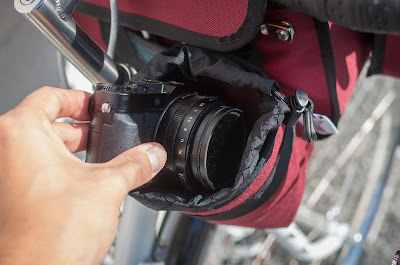 So pack up an extra layer, tools, mini-pump, camera, and film. 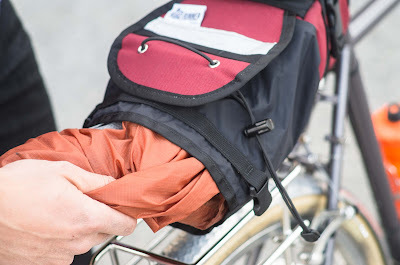 It uses a rip-stop nylon roll-top with a buckle for expandability and security. A simple flap holds everything snug as a bug in a rug. There is Mega-Grip under the saddle rails and around the seatpost strap to keep everything in place for out-of-the-saddle efforts. The side pocket is sized for a minipump and also has Mega-Grip to keep it secure. It's so simple. The main cavity uses seam-sealed rip-stop nylon and is waterproof. 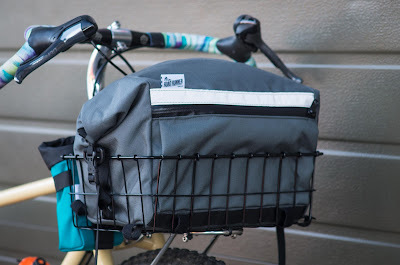 While the bottom is flat and sturdy, the overall construction is not rigid so it can be compressed down or expanded easily depending on the load you're carrying. There is also a small, forward facing boxed-out organizer pocket for your smaller stuff. 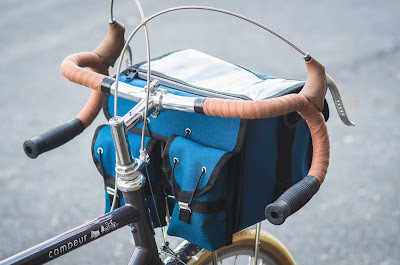 It fits on our Porteur Rack as well as the Wald 1372 Basket. All of the bags will be available in Burgundy, Navy, Black, and Teal. We're really excited to bring in this cohesive line of bags that we designed to meet the functional needs of riders, while still looking great. A blend of form, function, and some pretty sweet colors. November is an interesting time of year. Here in the northern hemisphere, it is the real start to winter in a lot of locations. In the Southern Hemisphere, it is the beginning of spring in many latitudes. Here at VO HQ, or at least my corner of it, November is a bit of a let down. October has warm days, cool nights, the celebrations of anniversaries, birthdays and Thanksgiving in Canada. November's increasing darkness and colder weather brings a reminder that the year is close to an end and that the rush of the holidays is almost upon us. But in the midst of that, there are certainly many things to celebrate. Thanksgiving (The US one) is coming up in about a week and I love getting together with friends to converse, eat, and enjoy their company. The week prior to it is the release of Beaujolais Nouveau - the youngest of the French wines, that are released at on the third Thursday of November. 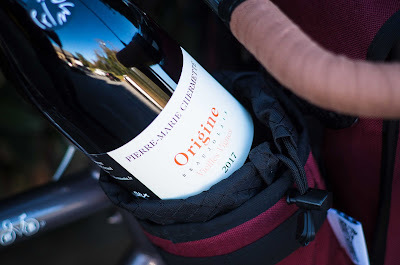 These are wines that have only been bottled for 6-8 weeks, so the Gamay grapes that are typically used, have little tanin and a very fruity flavor to them. 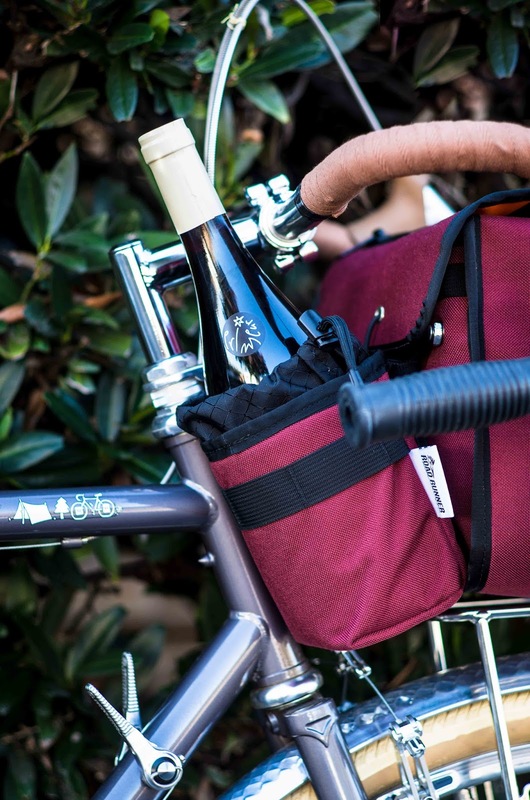 Perfect for those of us who aren't the biggest wine drinkers. 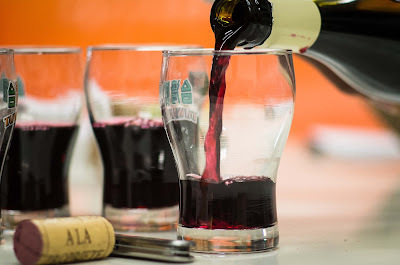 Here at VO, the arrival of the Beaujolais Nouveau has always been treated as a great excuse for the staff to relax and taste test that year's vintage. None of us are great wine drinkers, so this is always a great contest to see who could sound the most, ahem, "wine critic-y" of all. Talk of fruitiness, of the taste of plums and such waft around the office here as we taste these wines that, at most, come out to $10 a bottle. We tried Pierre-Marie Chermette vineyard this year. This vineyard has a different take on it's grapes, using older ones for the Beaujolais then most vineyards do. The result is a wine that was more robust then other varieties that we had previously tried. It has a dry finish, but good legs. Igor could taste some plums with an air of strawberries. Will thought that it was "very aromatic." Derek's comment at the end of the tasting was that he was "a fan", of this vintage. Wine might not be to every one's fancy, but certainly it is a reason to stop, smell the cork as it were and relax with friends. P.S. 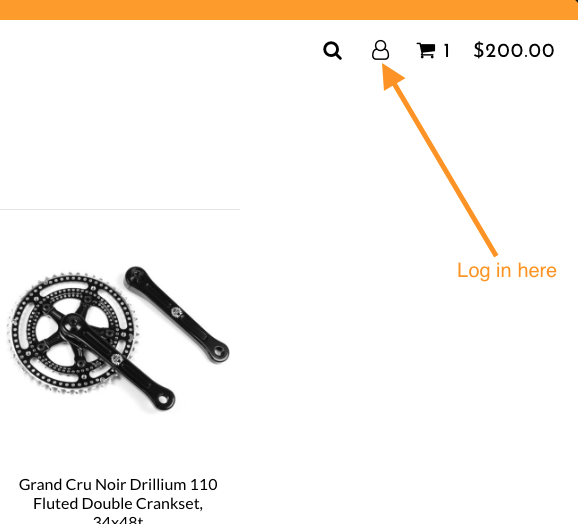 Just a reminder to shops: with our updated site, you need to create an account on the new site using the same email address used to log into the web site previously. This will tie the new account to the old one. After you have created a new account on the site, you'll get an email confirming the account. Just follow the instructions and you'll be good to go. Bar End shifters lend themselves well to ease of access for folks riding in the city or self-sufficient applications such as randonneuring and touring where simplicity and durability is paramount. For city riders, bending to reach your downtube shifters can be a distraction from traffic ahead or is simply inconvenient. 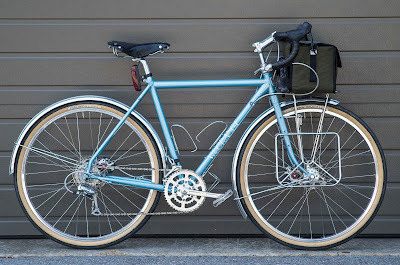 One of the first things to go in a road bike turned townie conversion is the drop bars in favor for a more upright position. This allows you to get a better view of traffic ahead, to have a quicker reaction time as the conditions change. For tourers and randonneurs, bar ends are incredibly popular for their ease of maintenance and cross compatibility. 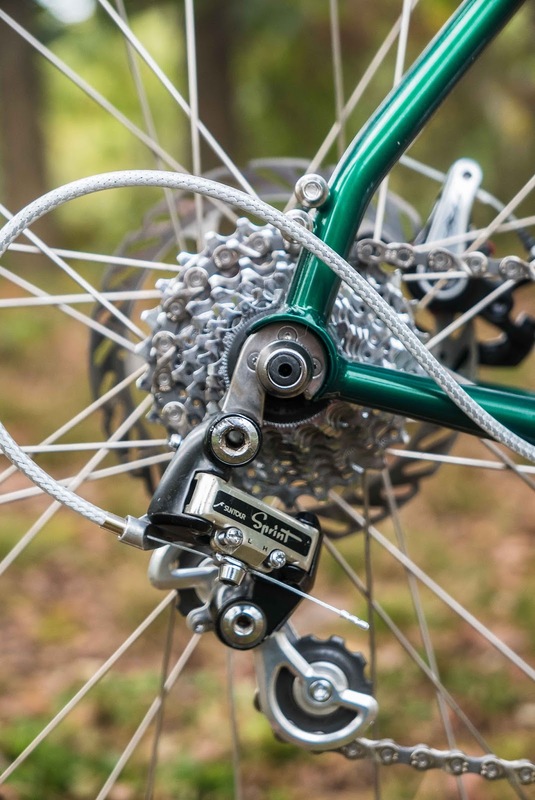 When stripped of frills and indexing, bar ends simply pull and hold cable tension to move front and rear derailleurs around. 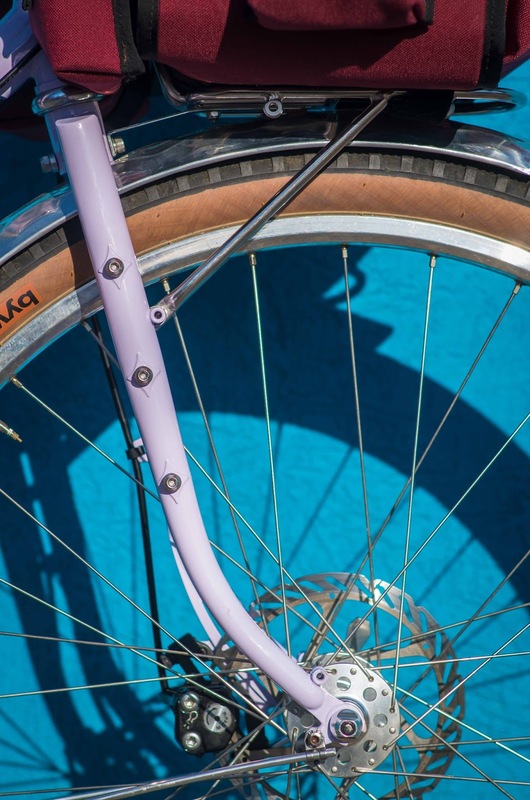 Although less common in newer offerings, many indexed bar ends feature a friction mode if indexing goes out of whack. 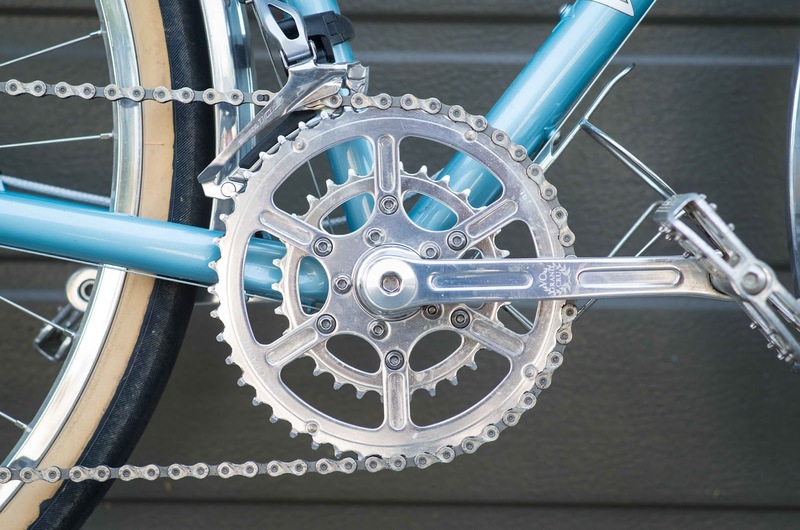 Additionally, you can cross pollinate component groups to really dial in what you want out of your bike's gearing and performance. Most handlebars compatible with bar end shifters have an outside diameter of 23.8mm, and an inner diameter between 19 and 21mm. 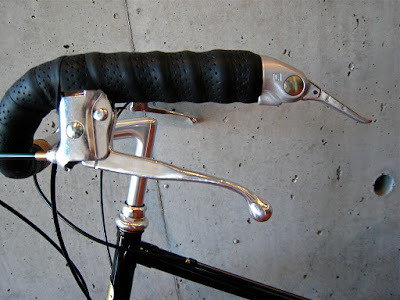 There are a few handlebars such as the Klunker which have a 22.2mm grip area and take bar ends, but these are more uncommon. 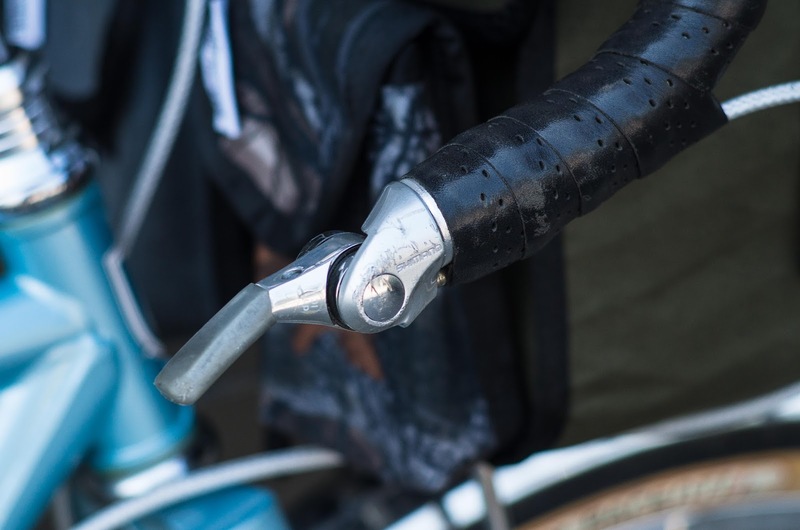 While the lion's share of drop handlebars accept bar end shifters, the proliferation of carbon construction means you should consult the handlebar's manufacturer before installation - lest you crack a handlebar. 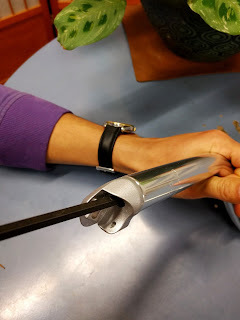 Installation of a bar end shifter is easy. 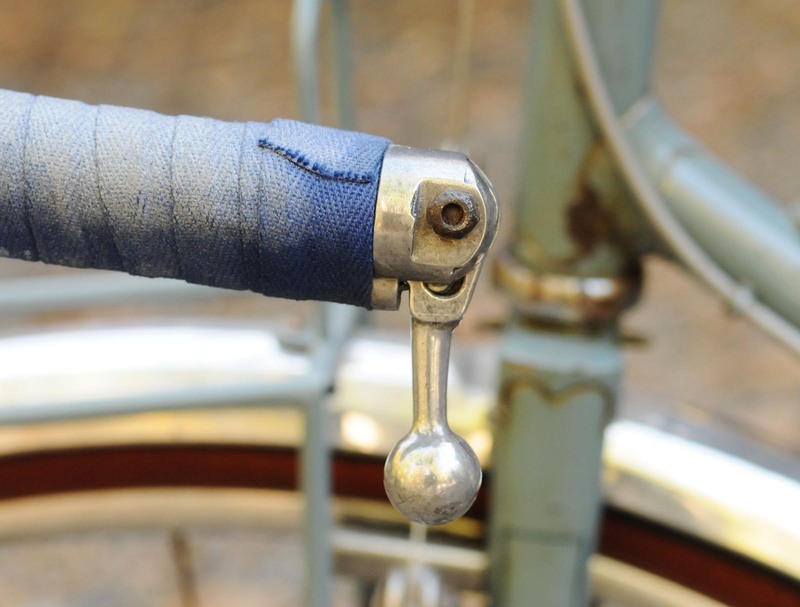 Similar to a quill stem, the bar end body expands within the handlebar's end. Just remember that turning the bolt counter-clockwise expands! If you try to install it by turning clockwise, all of the expanding pieces will fall into the handlebar and you'll have to fish them out. Our more popular handlebar styles for city bike conversions are the Left Bank and Porteur Bars. 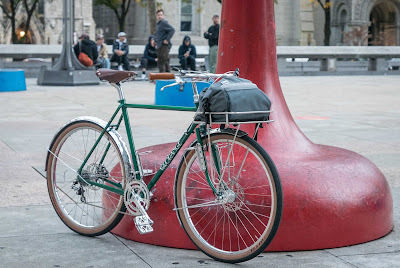 The former gives a super upright posture with a very classic city bike appearance, while the latter gives a bit more of a racy stance with the bars flipped down and a moderate rise with them flipped up. All of our drop handlebar offerings are bar end compatible including the Dajia Far Bars, which have become a hit with the mixed terrain crowd. 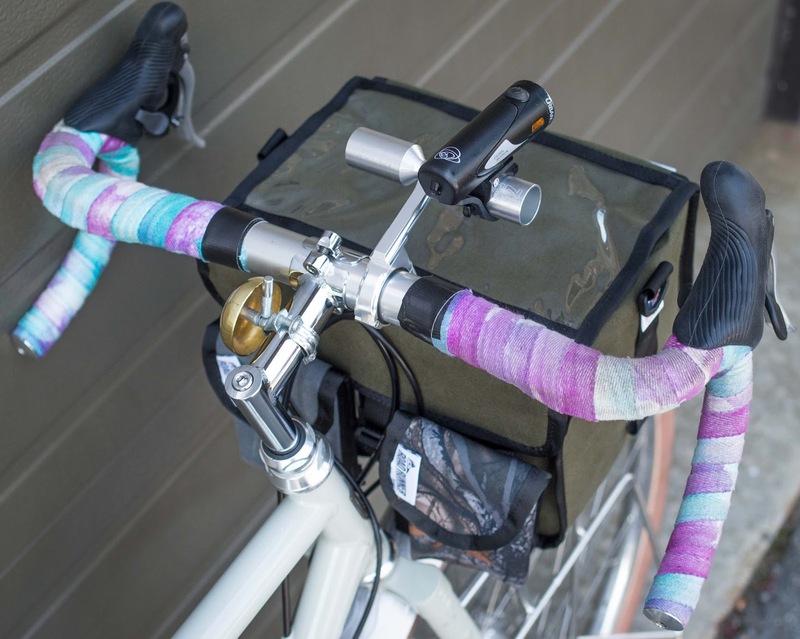 Cotton Handlebar Tape is the easiest option for wrapping your bars. For upright bars, it is typical to wrap as much as you'd like to suit your padding preference, then finish off with tape or twine. 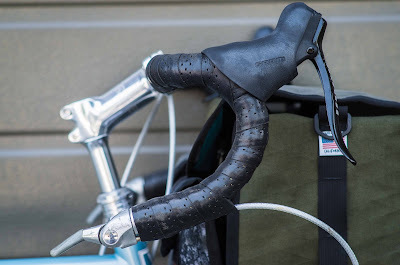 I prefer using Rustines Constructeur Grips and modifying them a bit (scroll down on the post) to work with bar ends as they have more cushion than cotton tape. 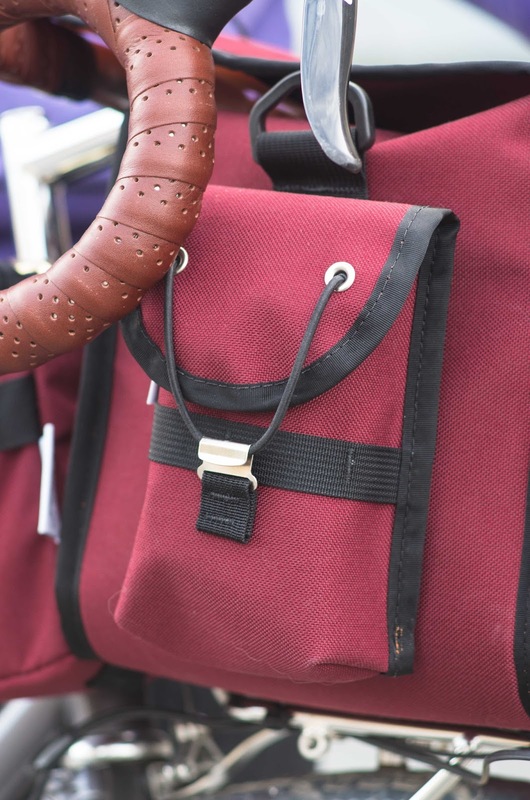 Those logging into our webstore today were welcomed with a new Velo Orange website. It's now more easily navigated and mobile optimized. This transition has been something we've been working very hard on and we hope you like it. With shopping and research going mobile, we also needed to have a mobile optimized website to allow our customers to access VO from any device they want. Be sure to check out some of the new features of the website: zooming in on product images, pop-out quick view, and an improved dealer locator. This new platform will allow us to manage the website with much greater ease, allowing us more time to focus on the things that makes VO tick: product development and audience connection. So here is what we are requesting of you: please go to our website and create an account using the email you used to login to our previous webstore. If you are having trouble accessing the new website, you may need to clear your browser's cache and cookies. This will tie your old account to your new one, and allow you to see your previous orders as well as adjust any shipping/billing information you may need to change since you last logged in. You'll receive an email confirming your login information - simply follow the directions provided. Domestic shipping has stayed the same, with a free shipping option for domestic retail orders over $150. 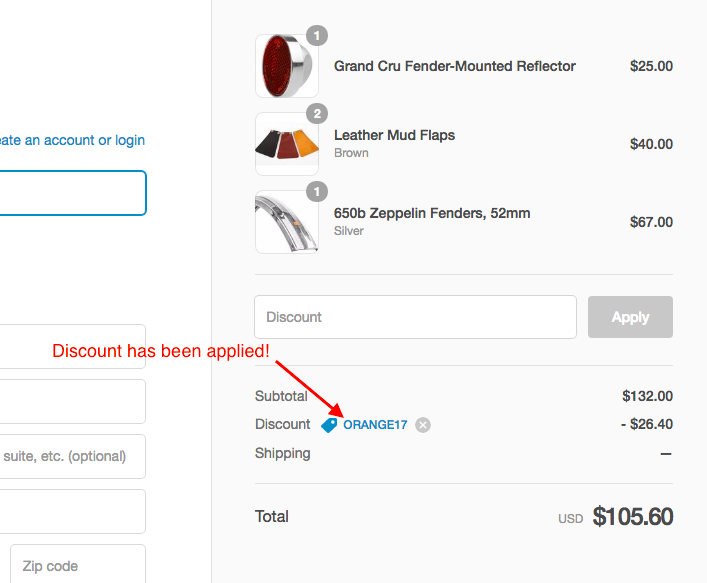 You must use the code 150SHIP to get the deal. Find the fine print here. For domestic wholesale orders over $400, you will get an option for free shipping - no coupon code needed. International shipping has been simplified! Rather than quoting every international order that comes through, we have put a table rate into place for orders under $300. With shipping charges assessed at checkout, processing times with be cut down considerably. If time is of the essence and you need your VO bits stat, just send us an email at info@velo-orange.com and note in the comments section of your order that you would like a quote for your shipping options. 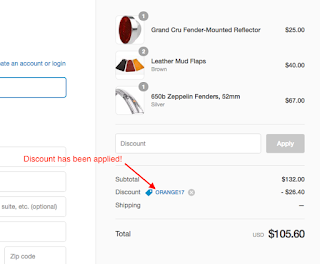 Any orders over $300 USD will receive a shipping quote by default, as these larger orders tend to be too variable for a table rate. We want your experience to be enjoyable and easy, so please, if you find any issues or want to give us any feedback as you peruse the new website, drop us a line. 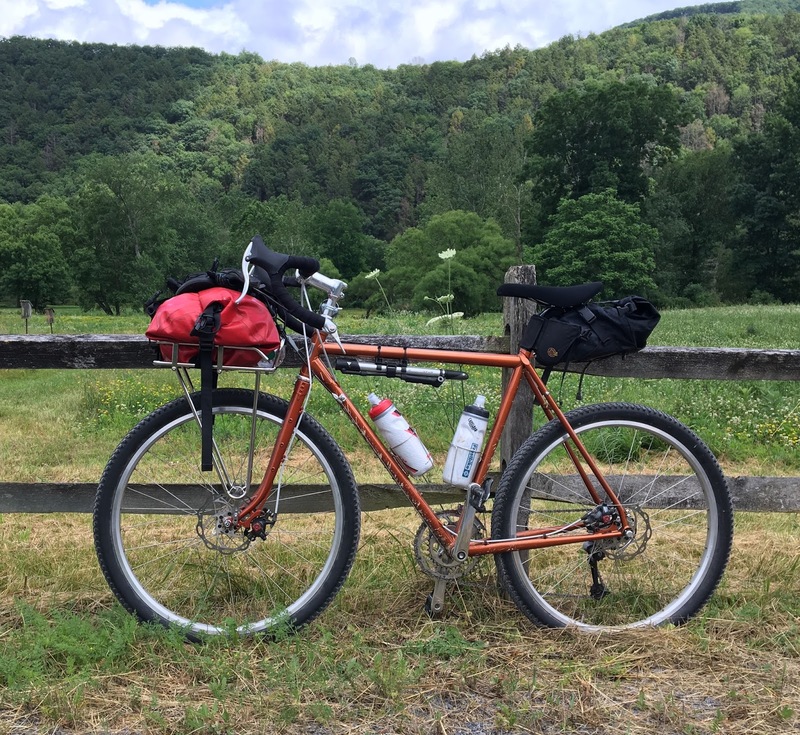 Adrian and I will be taking two Polyvalent prototypes on a two week long European tour. Our tentative schedule is to ride through through Switzerland, Liechtenstein, a tiny bit of Austria, Southern Germany, and end in Friedrichshafen before heading back to Zurich. 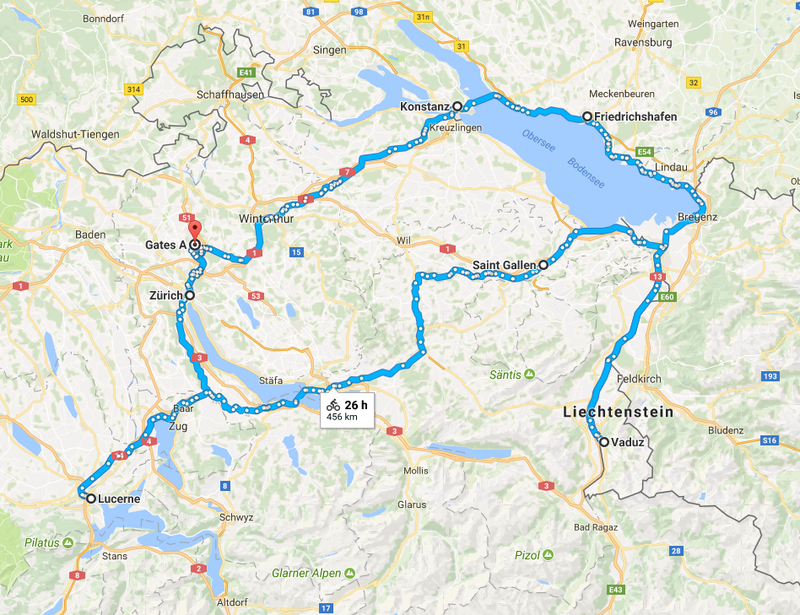 Not only is Friedrichshafen known for its vicinity to the beautiful Lake Constance and extensive Zeppelin history, it is also the location of Eurobike - the biggest mainstream industry show in Europe. Traditionally, the entirety of Eurobike, just like Interbike and Taipei Bike Expo, was an industry-only show. Meaning only shops, distributors, manufacturers, etc were allowed in. In recent years, all three of the big shows have opened up their doors for one of the four days to the general public. So if you have an opportunity to go, you should spend the day nerding out at the latest tech and weirdness these types of expos have to offer. 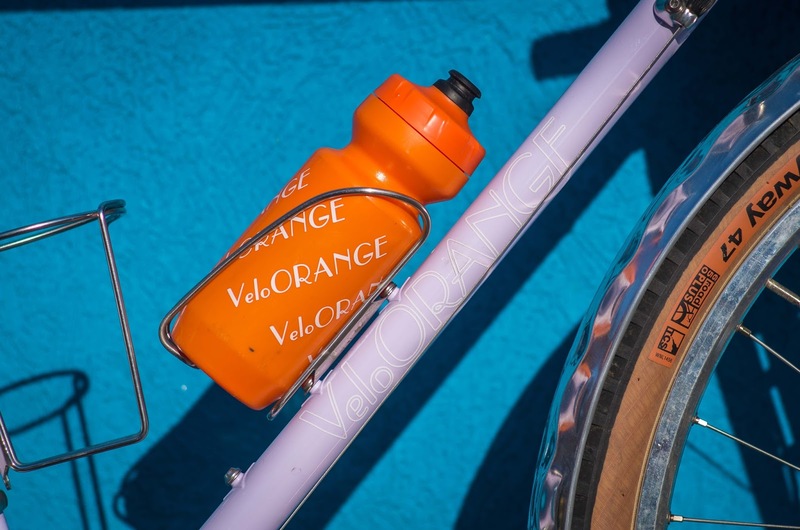 In addition to seeing new and upcoming products from all corners of the cycling world, we'll have an opportunity to visit with several of VO's European wholesale and distributor partners. Enough about the show, let's talk bikes. 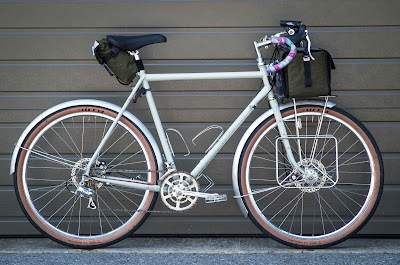 This is Adrian's 51cm Polyvalent. 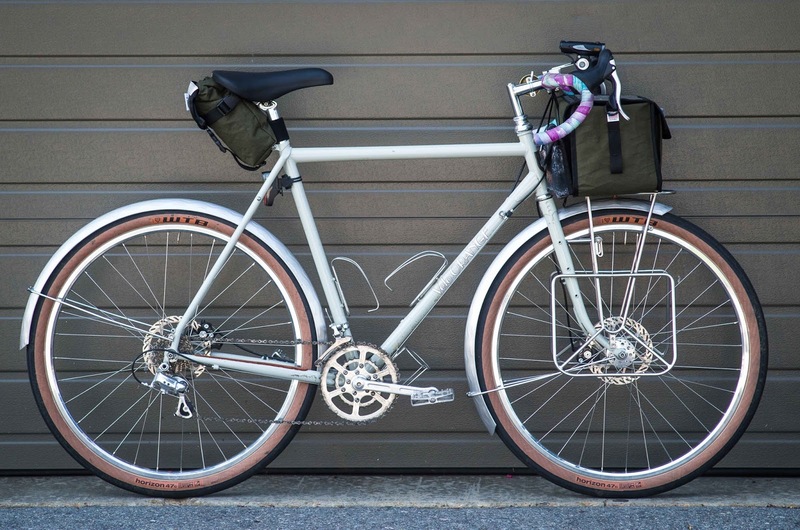 We transferred many of the components from her Campeur onto this bike, and her Campeur will morph into a Porteur Townie. For gearing, she's using our 50.4 bcd Crankset paired with an 11-32 9 speed cassette for low gears to get over those long climbs through the Alps going into and out of Lucerne. Shifty bits are standard issue Shimano Bar-ends, Shimano Tiagra dangler, and Shimano 105 pusher. Brakes are Avid BB7 Road with 160mm rotors being pulled by SRAM Brake Levers. 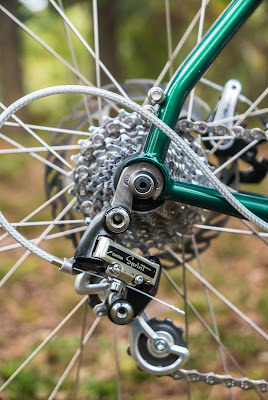 Readers will have their opinions about disc brakes, but simply put, they work really well. Handlebars are Dajia Cycleworks Short and Shallows with a 26.0, 17 deg threadless stem and adaptor. 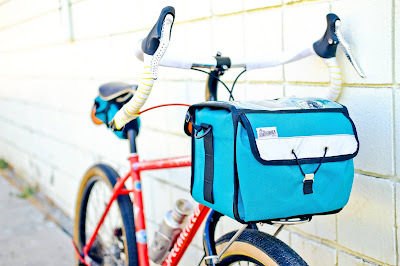 The Campeur Rack out front will carry a pair of Ortlieb Panniers and a handlebar bag. They are mounted inside the fork blades with the rack's included hardware. My 57cm Polyvalent is a carefully curated mismatch of components and accessories. 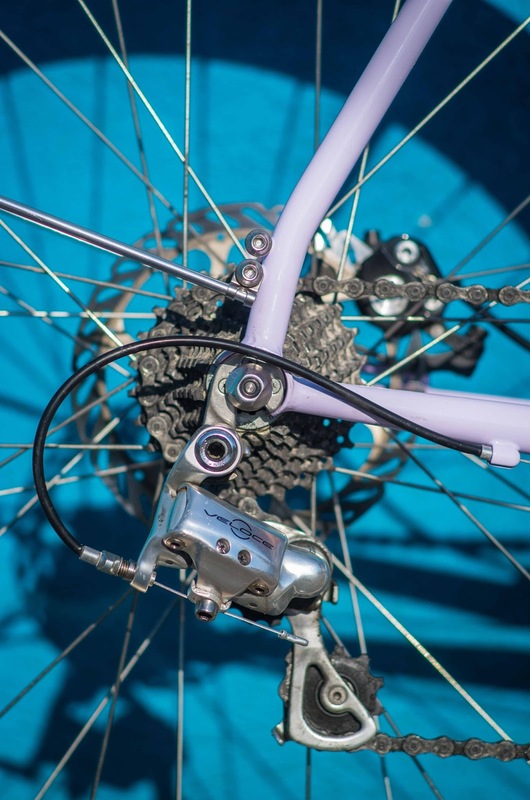 Campagnolo 10 speed integrated shifters (I dare not say the b-word), 50.4 bcd Crankset, Campagnolo Veloce Rear Derailleur, and Shimano Dura-Ace 8 speed Front Derailleur. It works pretty darn well. The brakes are cable actuated Shimano non-series brakes with 160mm rotors. They're cheap, easy to install, and work great. The bars are prototypes for a modern all-rounder drop bar that have quickly become my new favorite. 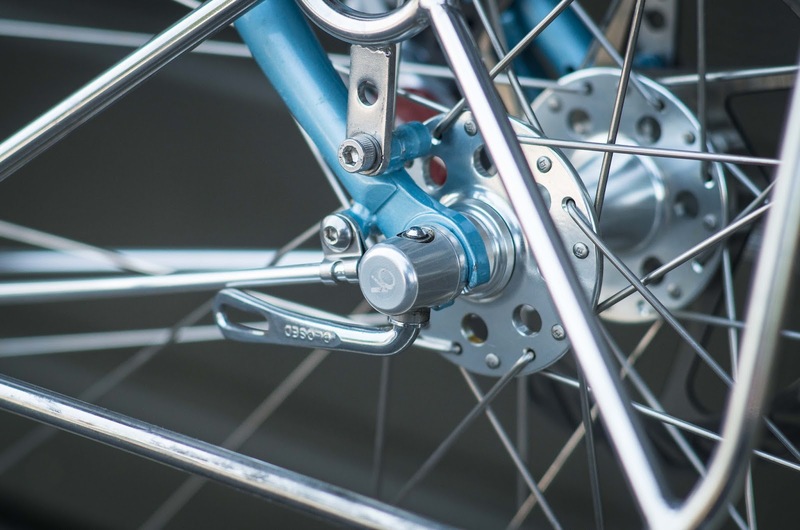 Reach with integrated shifters is of goldilocks proportions - not too long, not too short. The drops are easy to reach without too much stretching (on the final product, the drops will be rounder and not so ergo). They have a bit of backsweep for a more natural position while on the tops. Speaking of tops, they are ovalized to give a flatter, larger section with more real estate to move around on. I think these will be great for touring, off road riding, randonneuring, and heck, even racing. All. Rounder. The mount is also a prototype - you can use one or both barrels for mounting your computer, light, travel chia pet, solar-powered dancing whatever, etc. We can always use some extra dashboard space. 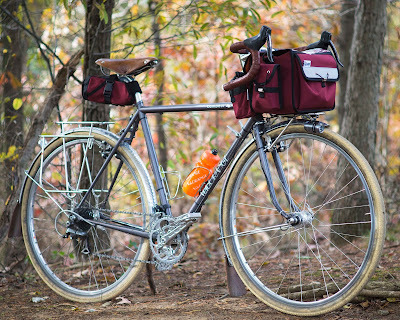 These fenders have been a long time coming. 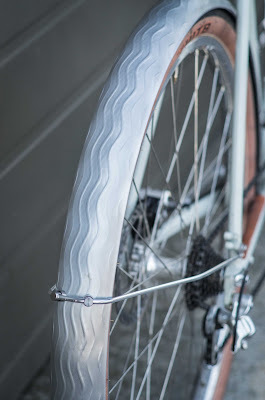 They have the wavy pattern of the classic Lefol fenders that were popular on Constructeur bikes of the era. 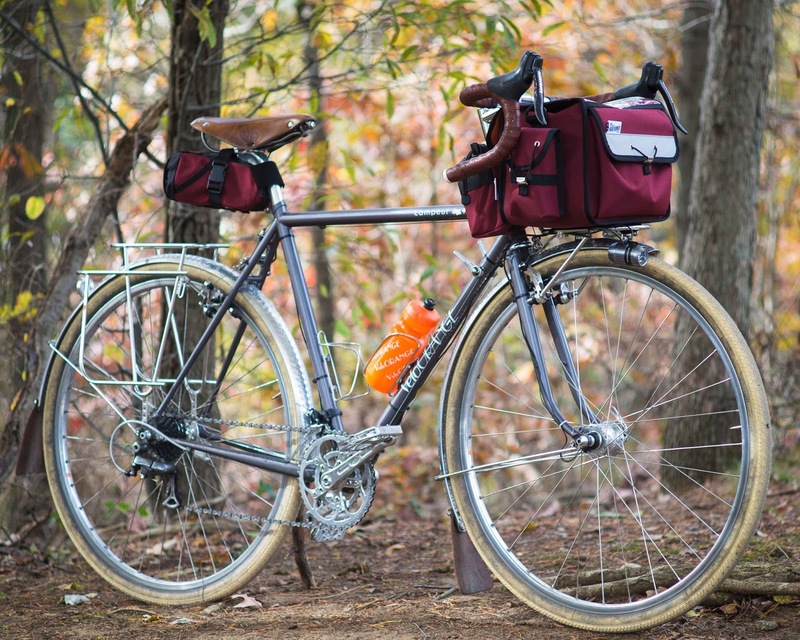 They're wide, lightweight, and swallow up 650bx47mm tires easily. The pattern needs a bit of work to be perfect, but they're getting there. You'll notice that they're satin rather than our MO of high polished. We found that the wave pattern is much more noticeable and beautiful in the satin style. The next sample will have deeper indentations, but is otherwise nearly ready to go into production. 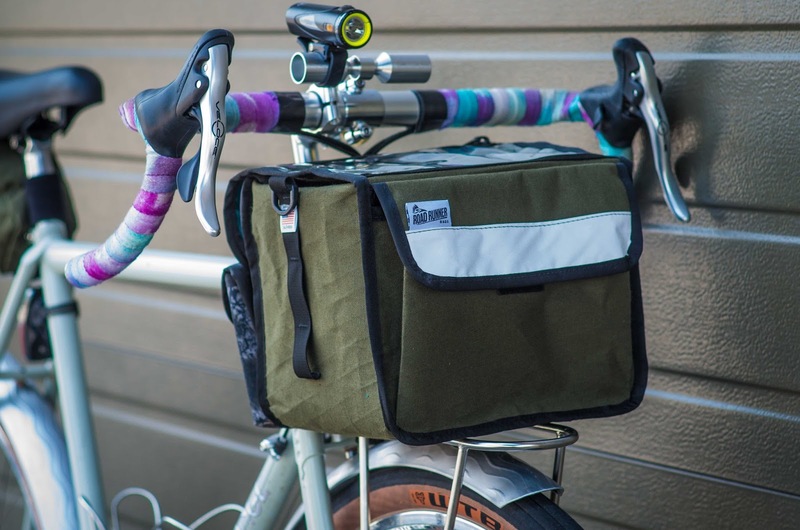 The handlebar bags are the first prototypes from our new bag line! 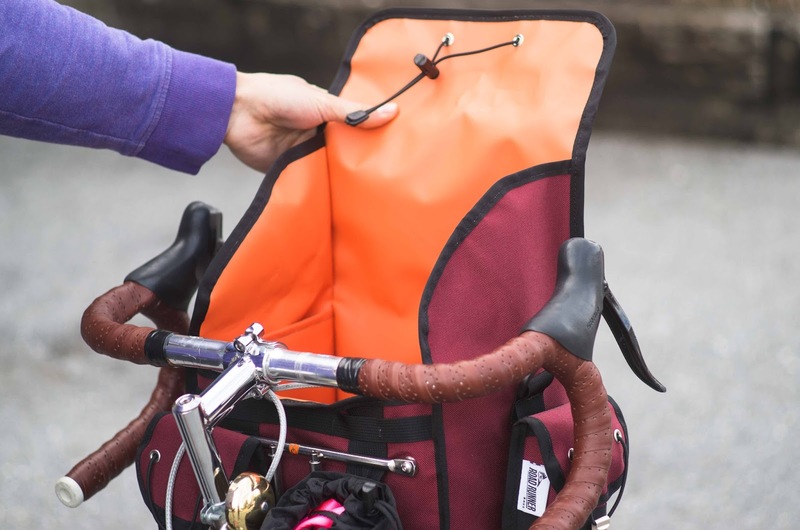 The plan is for the bags to blend with the versatility and modularity of many of the bikes coming out nowadays, the Polyvalent included. These arrived just before we packed the bikes on Monday, so we're excited to see how they work out on our trip. I've been coming around to more vegan-friendly options for saddles, handlebars, and bags and I think the niche slice of our industry is moving that way as well. 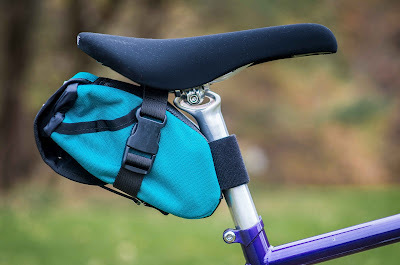 Our Microfiber Saddles have been super popular, and I hope to expand the line into other surface options and designs in the future. 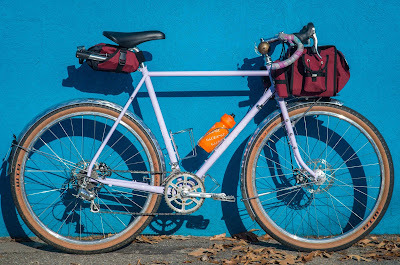 What do you all think of the fenders, luggage, and saddles? We hope to have all of these items all ready before next Spring, just in time for the season! If you all have any route or sightseeing suggestions, we're all ears!